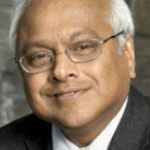 Dr. Salim Yusuf is an internationally renowned cardiologist and epidemiologist whose work over 35 years has substantially influenced prevention and treatment of cardiovascular disease. The leading North American clinical trialist in this field, his epidemiologic work in more than 60 countries shows the majority of risks of both cardiovascular and cerebrovascular disease are attributable to the same few risk factors. His large-scale studies involving several hundreds of thousands of individuals in dozens of countries have changed the way some of the world’s most deadly health conditions are prevented, treated and managed. 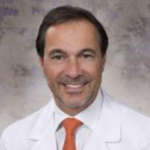 Dr. Weber is a professor of medicine at SUNY Downstate College of Medicine in New York and editor-in-chief of The Journal of Clinical Hypertension. He also serves on the executive committee for the International Society of Hypertension and the board of directors for the Center for Medicine in the Public Interest. On the research end, Weber is involved in trials of patients at high risk for CV events and stroke. Weber started his career after receiving an undergraduate and Doctor of Medicine degree from the University of Sydney in Australia. After his residency at Nassau County Hospital and Bellevue Hospital in New York, he completed research and clinical fellowships at Sydney Hospital in Australia. Weber returned to the United States as an assistant professor of medicine at Cornell University and attending physician at New York Hospital. He next spent nearly 2 decades as chief of the section of clinical pharmacology and hypertension at the University of California, Irvine, and the Long Beach VA Medical Center and eventually returned to New York in 1995 to serve as chairman of the department of medicine at Brookdale University Hospital and Medical Center and then as an associate dean of research at SUNY Downstate College of Medicine. His accomplishments are numerous and include founding and serving as past president of the American Society of Hypertension. Weber also has published more than 500 journal articles and several books, including the reference volume Hypertension along with Suzanne Oparil, MD. Dr. Scott Solomon's research focuses on understanding afferent mechanisms of left ventricular remodeling. Dr. Solomon and colleagues have developed a computer based three-dimensional finite element model of the left ventricle based on echocardiographic images in order to assess regional left ventricular wall stress in a variety of myocardial diseases. Finite element analysis, an engineering technique used routinely in structural design, is ideally suited for analysis of regional stress distribution in a geometrically irregular structure, such as the diseased left ventricle. An assessment of left ventricular regional wall stress may lead to a better understanding of the forces that result in ventricular dilatation and remodeling in a variety of myocardial diseases. Results of this work has demonstrated that regional wall stress predicts left ventricular remodeling post-MI. 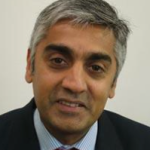 Dr. Solomon directs the Core Echo Laboratory, at Brigham and Women's Hospital and directs two major international trials of left ventricular remodeling in post-MI and heart failure patients, the VALIANT ECHO study and the OVERTURE ECHO study. VALIANT ECHO will determine whether an angiotensin receptor antagonist can attenuate left ventricular remodeling post-MI to the same or greater extent as an ACE inhibitor. 600 patients will be enrolled in 14 countries. OVERTURE ECHO will determine whether the NEP-ACE inhibitor, Omapatrilat, will improve left ventricular size and function in patients with heart failure to a greater extent than an ACE inhibitor. 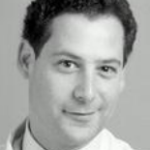 Dr. Solomon directs the Noninvasive Cardiac Laboratory and co-directs the cardiac MRI program.